George Soros is getting competition in Europe. Steve Bannon, former White House Chief Strategist to Donald Trump,and former executive chairman of Breitbart News is setting up a foundation in Europe called The Movement which he hopes will lead a right-wing populist revolt across the continent starting with the European Parliament elections next spring. 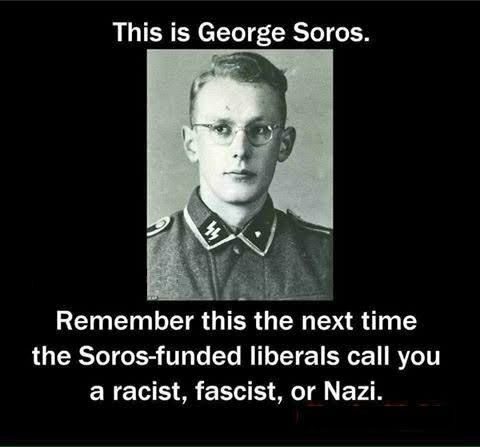 After witnessing George Soros's work first hand I would beleive George Soros could use a strong opponent. Living in St.Louis I was blown away by the national coverage Ferguson received, namely the amount of protesters and organizations from out of town shipped into the community. 33 million dollars was spent by George Soros to manipulate local protests. What George Soros didn't pay for was the overtime it cost for St.Louis County to police the affair, or for the damages to local businesses. George Soros caused a community millions of dollars in damages to orchestrate a fictious engineered Grass Roots movement actors included. George Soros Open Society Foundation is also responsible for another group that isn't a confederation of local grassroots organizations, but is well financed. Antifa which has wreaked havoc all across the United States with taxpayers again paying for policing of an orchestrated engineered event. According to Capitol Research, Antifa's Origins can be traced back to left-wing billionaire George Soros through a group called the Alliance for Global Justice (AfGJ). 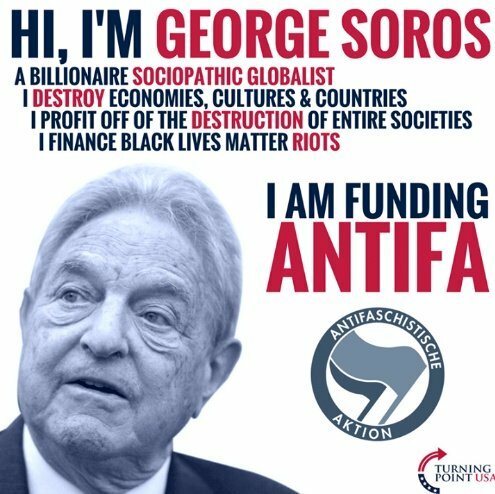 Soros’s philanthropy, known as the Open Society Institute, gave $100,000 to AfGJ ($50,000 in 2004 and $50,000 in 2006).Acting as a fiscal sponsor, AfGJ gave $50,000 to Refuse Fascism, an unincorporated Antifa group. Fiscal sponsors are recognized tax-exempt 501(c)(3) nonprofits that take in donations on behalf of unincorporated or small groups so that donors can deduct the donations from their taxes, charging the group receiving the donation a processing fee. Refuse Fascism was created in the weeks after Donald Trump’s unexpected victory over Hillary Clinton in the 2016 presidential election. The most recent exploits of George Soros manipulating the American Poltical Landscape is,"Demand Justice". This organization has spent 5 million dollars behind an effort to stop Judge Brett Kavanaugh’s confirmation to the U.S. Supreme Court. Not even Supreme Court Justice appointments are safe from the reaches of the Soros Foundation. 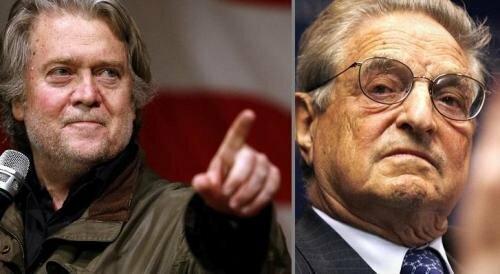 In Europe where Steve Bannon is setting up shop he does have the edge on Soros in certain countries, George Soros is banned from his home country Hungary, Poland, Russia, Macedonia and several more. Vladimir Putin during his joint press conference with President Trump in Helsinki even brought up George Soros on the subject of influencing elections. War torn Urkraine is a solid example of George Soros personally involved in a countries coup through his many color revolutions.From an article by The Duran,"Soros and his NGO executives held detailed and extensive meetings with just about every actor involved in the Maidan coup…from US Ambassador Geoffrey Pyatt, to Ukraine’s Ministers of Foreign Affairs, Justice, Health, and Education". George Soros has some competition ahead of him. I wonder if we are witnessing,"Deep State Wars" between a powerful group of Globalist, and powerful group of Nationalist's that want to see things as they use to be.